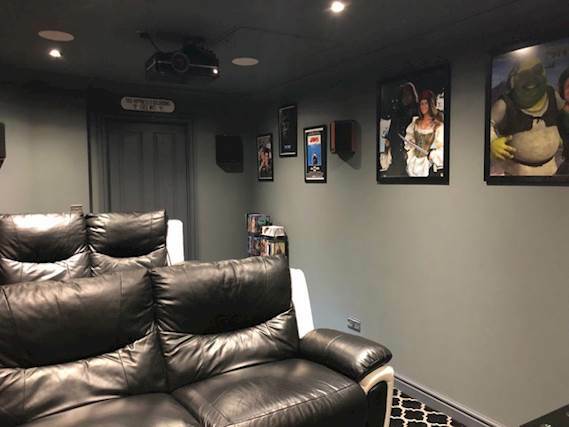 Stuart Mills from South Wales was converting his garage into a home cinema and wanted a 4K UHD projector that is also Full 3D. 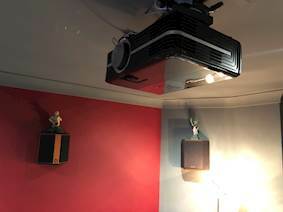 Stuart said: “We’ve had a dedicated home cinema since 2009 but we moved house fairly recently. One of the main criteria when choosing our new house was whether there was space to be able to convert into a cinema. With advice from Richer Sounds in Cardiff, Stuart installed the Optoma UHD51 4K UHD projector. Stuart said: “We chose the UHD51 because it was the most cost effective Full 3D 4K UHD projector on the market. And it fits perfectly into the space. For building regulations we had to raise the floor so that there were no steps down to the room. We were a bit concerned that this would then make the ceiling too low. But it is absolutely perfect. Because the cable runs would be too long for standard HDMI cabling, Stuart installed Blustream Cat 6 converters. This allowed him to use Cat6 cables that can reliably transfer the signal over greater distance without any signal drop out. 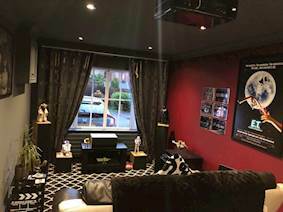 Five plush chairs (a three-seater and a two seater) that recline electrically and a series of bespoke art-deco style plaques finish off his home cinema. 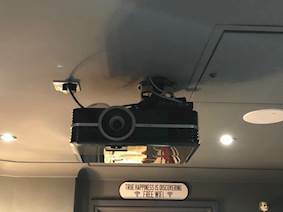 The first film screened on Stuart’s home cinema was Frozen in 3D - to the delight of his four year old grandson. Stuart said: “It looks great! We have been watching films in the lounge on our TV since we moved here. It is brilliant to get back that immersive atmosphere you get from the big screen. 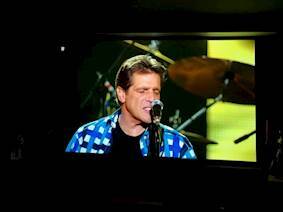 The picture quality is excellent! Very bright with vivid colours. 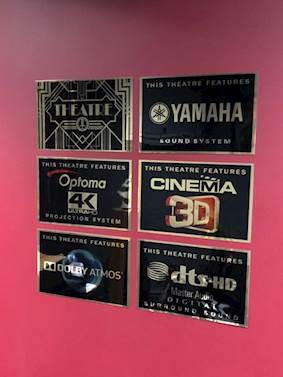 “Every cinema that I have built has been good for that time but has incrementally improved as time and technology moved on. My first cinema used both laser disc and DVD. My second had Blu-Ray DVD. My latest cinema can play Blu-Ray and 3D Blu-Ray in brilliant 4K resolution. 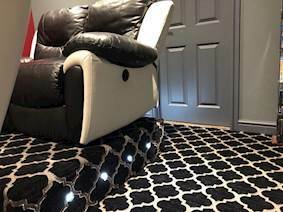 “I initially re-used my old HDMI cables on this installation but found the image quality was slightly grainy so I bought a new set of cables from Richer sounds. This made a massive difference to the picture quality! My advice to anyone upgrading their system is to upgrade their leads too! 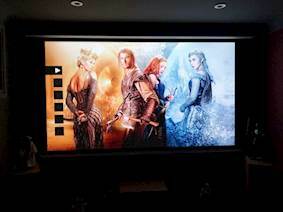 “I would definitely recommend the Optoma projector for home cinema. I watch everything on it including Sky TV. The 4K picture really shines through and gives everyone that comes to see a demo the wow factor! The 3D image this projector creates is simply awesome! 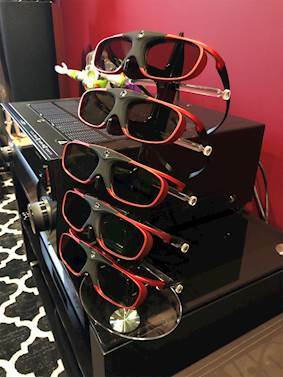 I have six pairs of Optoma 3D glasses which, for me, are a must have accessory."